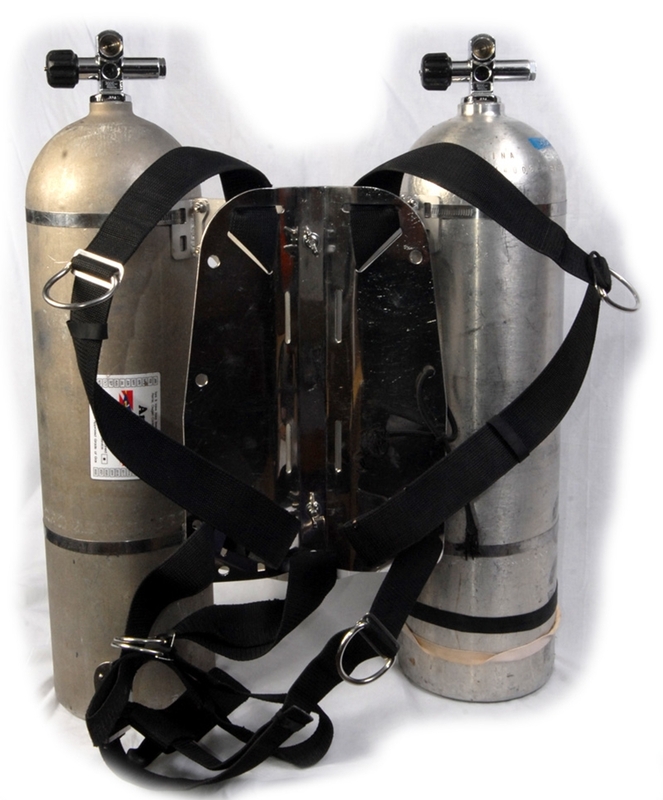 A SS frame to hold rebreather (CCR/SCR) and bottles on one neat package on divers back. 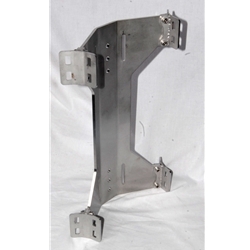 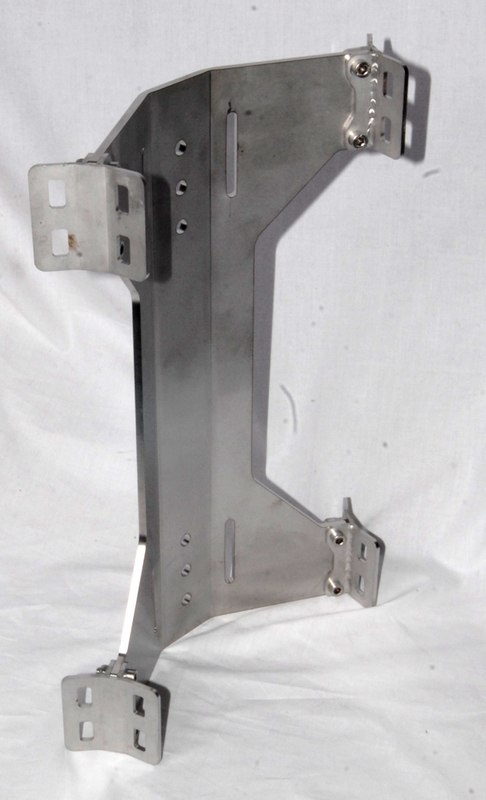 Attaches to standard backplate. 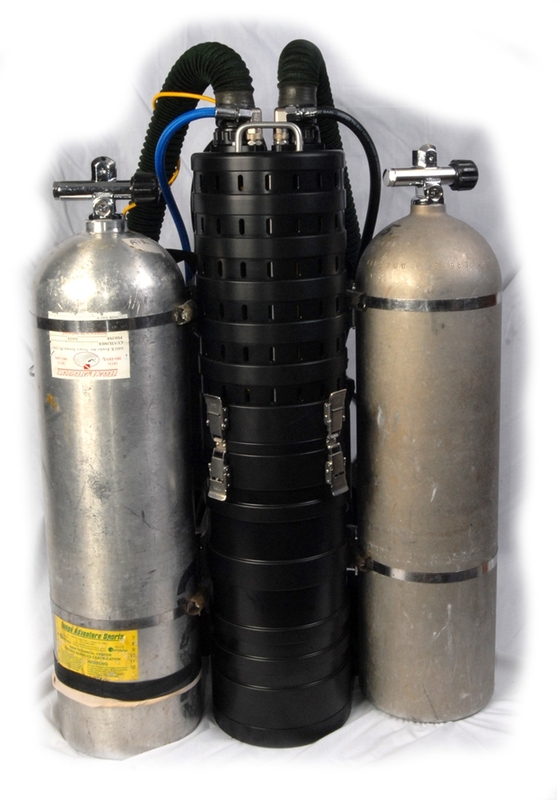 Bottles are held via hose calamps, Rebreather by CAM bands or hose clamps. 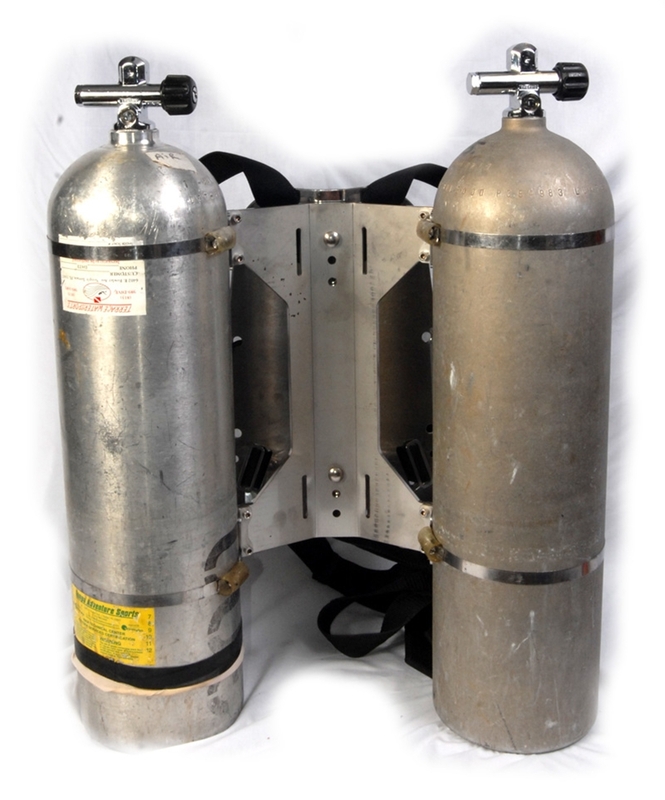 Great for configuring Tres Presidentes or Flex rebreathers.